Communicate Special Offers and Promotions through Email! 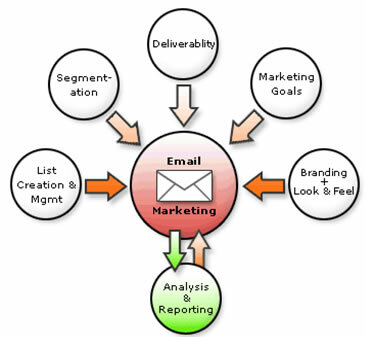 Email Marketing is a very cost effective way to generate new & repeat sales. Email marketing from Ridgewood Press is quick, affordable and an efficient way to connect with your customers. We can develop an email marketing campaign for you that compliments your printed materials. Then create visually appealing and compelling content that strengthens your marketing message. We have helped thousands of companies achieve their marketing goals by offering a personalized approach to connect with your customers. Learn more by visiting or calling us today @ 888-608-9797 to see how Ridgewood Press can help you. We help companies develop their own unique template complete with a creatively designed company logo. Want to use your own art? No problem! Ridgewood Press is committed to adding value to your marketing strategies by combining the right mix of direct mail and email marketing. Our In House design team can assist in developing images and content to actually sending out your messages and promotions. Copyright 2019 - Ridgewoodpress.com. All Rights Reserved.